How might we know stories are having an enduring social impact? 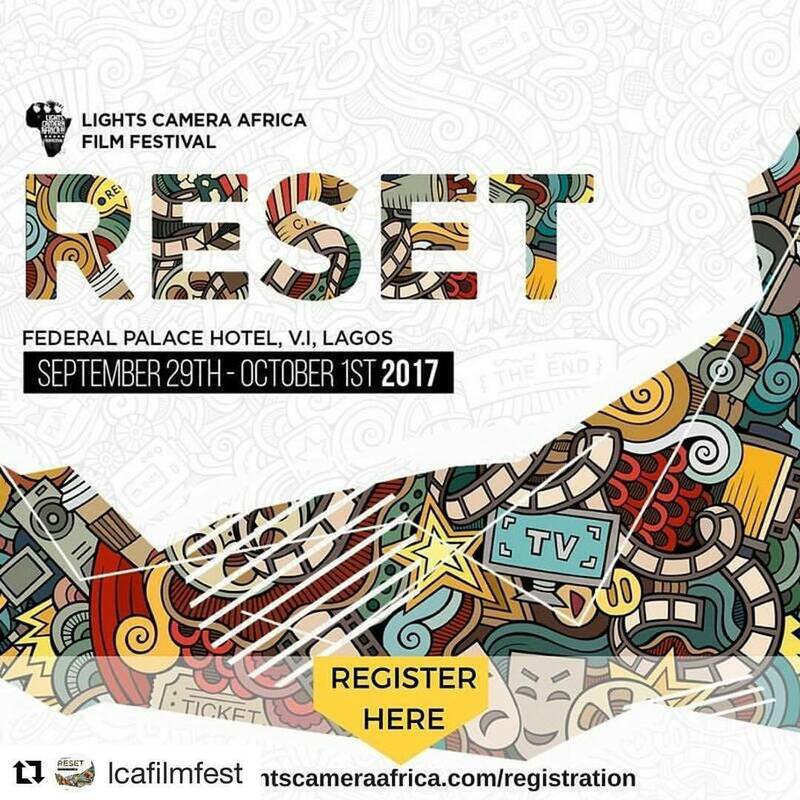 When it came to Lights, Camera, Africa 2017 film festival we considered a number of reasons why social impact stories might inspire a course RESET in society’s collective consciousness. We paid attention to ideas around “recognizing depth” to “exploring alternative ways of seeing and thinking”. While not always obviously expressed and unrecognisable by the viewer they can create unexpected emotional responses. 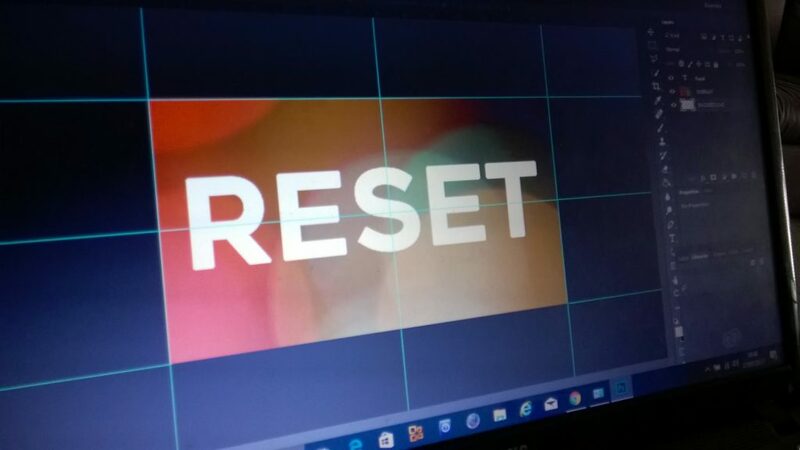 I found the last option potent enough to test our assumptions with a few visual concepts. 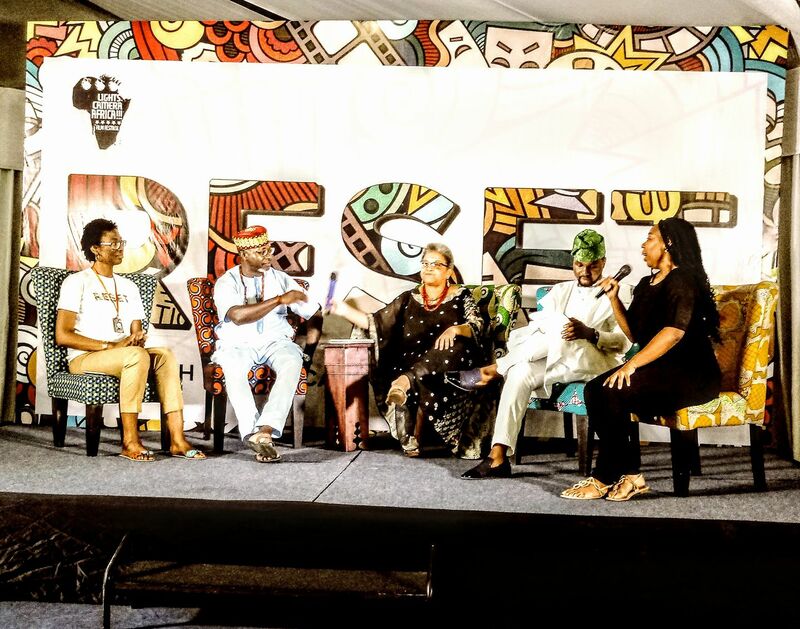 I shared these concepts with festival director Ugoma Adegoke to evoke an emotional response from creative colleagues; Blessing Abeng, Ismail Shomal and Kelechi Odu. She opened these concepts up to a productive critique through their perspectives. 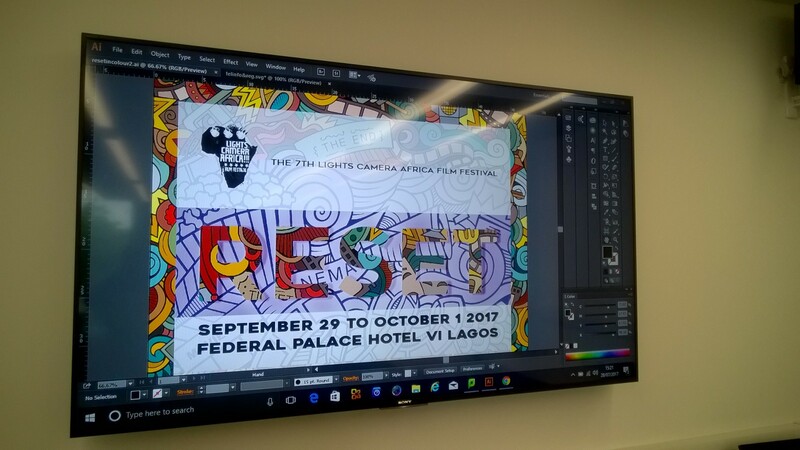 It is now a graphic communication tool-box Blessing Abeng and Kelechi Odu are using as visual gestures to audience test and support how this film festival is curated. 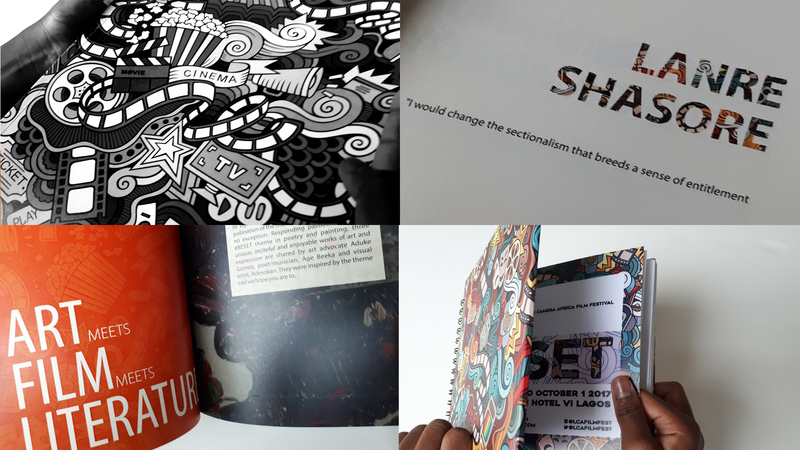 This visual narrative provides possibilities to flare out as different sized posters, the identity of the festival, colour palette and typography, as well as digital content and print assets, signage, packaging and merchandise. We tested our assumptions internally about how the visual narrative might be interpreted to reduce our own bias. By definition each of us reduced our ignorance gap about what might resonate with the festival’s audience. Like the multiple views that informed this visual narrative perceptions of race, ethnicity, faith, sexuality, gender and culture can be politically charged. It can be steeped in ignorance or enable an explosion of diverse insights. Evaluating multiple perspectives is not about being politically correct. It is about being as intellectually curious, historically aware and creatively thorough as possible. Thoughtfully evaluated social impact stories can be compelling ways to overcome ignorance. What each film screening this year share in common with each other is a unique perspective. Sometimes they will be extreme, sometimes prosaic, but always specific. 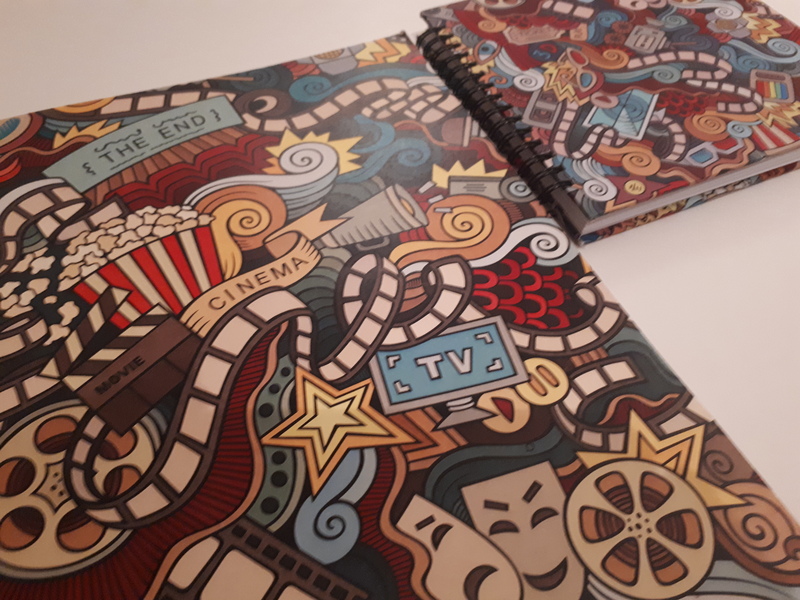 The perspective may be that of the audience, screen-writer, sound designer, composer, music writer, animation director, production designer, narrator or the characters. Seeing the world through someone else’s eyes creates empathy and connections. It also creates space for possibilities. What more valuable skill can a social impact producer or design thinker have than seeing the world full of possibilities? I know Ugoma’s festival curation and programme team are evaluating films and film-makers who seek the source of human resonance. In times when reality programming adopts documentary techniques to tell stories and create characters lacking human depth this programme aspires to provide us with access to many remarkable long and shorts of non-fiction cinematic yarn. She introduced me to a film about James Baldwin as an entry being considered for this year’s festival. I become aware of his work as a consequence. I then got to preview work about him through Caroline Deeds, a documentary film maker and colleague. This made me appreciate the essential nature of the kind of film festival she and her team had in mind. It also allowed us work together in defining character for this visual narrative as well as test our logic. We can only imagine the human diversity, personal and cultural context as well as social evaluation inherent in the ideation and production of James Baldwin type stories, particularly when their empathic accuracy is effective and timely. 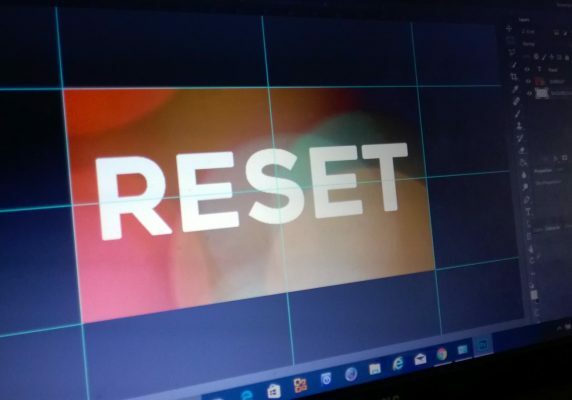 This is the background where expressing RESET as a visual narrative came from. It’s a place of figuring out how we evaluate the complexity of emotions that broaden our span of attention.